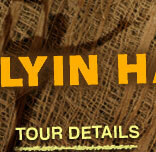 Aloha and welcome to Maui's most exhilarating eco-adventure tour with a purpose, Flyin Hawaiian Zipline! 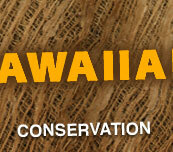 Our tour offers the unique combination of a thrilling outdoor experience along with native Hawaiian plant restoration. 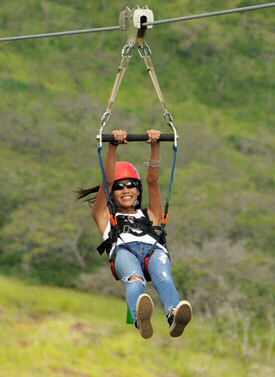 We are the longest and most intense zipline on the island, providing the opportunity to soar through the beautiful Maui skies and marvel at the stunning views with minimal impact to the ‘aina (land). This exciting adventure covers over 2 and a half miles of the West Maui canopy stretching from Waikapu to Ma‘alaea, while also including hiking and rejuvenation of indigenous flowers and trees! 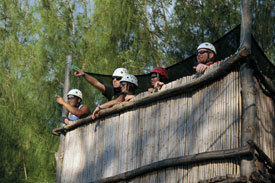 Flyin Hawaiian Zipline is dedicated to the enjoyment and preservation of Maui. All of our guests are part of a legacy of caring for this beautiful place, leaving it better than they found it! 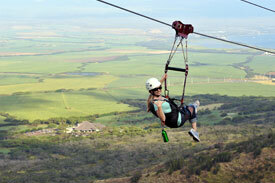 Flyin Hawaiian Zipline features Maui's longest, most thrilling rides with unparalleled views of both the North and South shores, as well as majestic Haleakala. Centrally located in the West Maui mountains, your canopy adventure includes 8 ziplines ranging from a 250 ft. warm up to a 3,600 ft. monster! 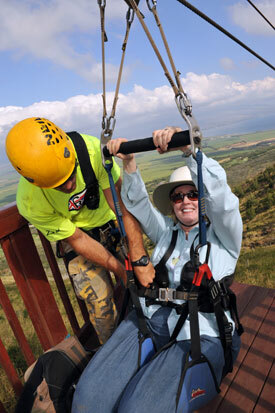 With over 2.5 miles of ziplining excitement and incredible panoramic views of The Valley Isle (Maui), this will be a highlight of your vacation! 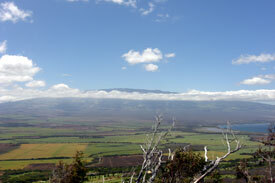 After checking in at the Maui Tropical Plantation, we take a short 4 X 4 drive into the heart of scenic Waikapu Valley. 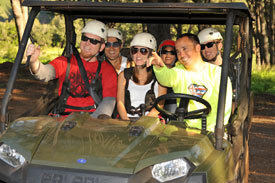 There you'll be outfitted with state-of-the-art equipment and receive instructions before beginning your adventure with a short introductory zipline to familiarize you with the gear and zipping procedures. Then you're ready to fly through the magnificent Hawaiian skies, where you'll cross 9 different valleys and 11 different ridges, all while gaining insight into Maui’s rich history and culture. Along the way, we will take time to plant rare, native Hawaiian plants as we zip through the incredible natural diversity that exists on Maui, ranging from the tropical rainforest to the desert and everything in between! Your tour will finish in Ma’alaea, where you will board an ATV for the ride down the mountain, before being transported back to Maui Tropical Plantation via air-conditioned van. Your exciting day comes to a close with the knowledge that you've been part of helping Maui thrive for future generations! We recommend that our guests wear comfortable clothes which you don't mind getting dirty, with closed toed shoes being required. We also recommend sunscreen and sunglasses. Participants without sunglasses will be issued mandatory safety glasses. If you would like to bring a camera, we suggest one of the point-and-shoot varieties rather than one with a large, bulky lens. Backpacks are not recommended on the tour however, there is a small pocket on the back of your harness that can hold a camera, car keys, cell phone, etc. 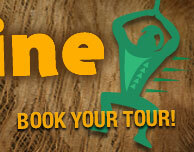 All zipline riders must be at least 10 years old, weigh between 75 - 250 lbs, and be in good physical condition. Participants must be able to lift 15 lbs and those with heart conditions or high blood pressure should consult a physician. This tour is not for those who are pregnant, have back or neck issues/injuries, have a fear of heights, experience dizziness, seizures, or any other serious medical condition, customers should be prepared for moderate to advanced physical exertion. Participants will need to be able to walk uphill and downhill over uneven and slippery terrain. View our Frequently Asked Questions for more info.